Cases of autism are surging among the children of Silicon Valley, Calif. Are math-and-tech genes to blame or could there be another culprit? David Karutis, left, is a programmer with Asperger Syndrome, a related, milder condition. 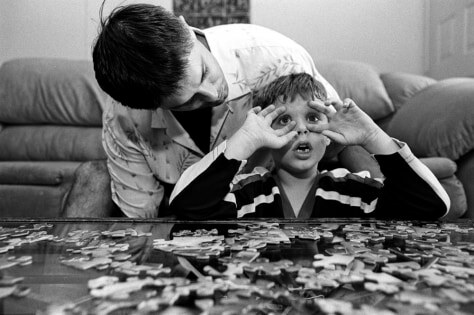 His son, Anthony, has high-functioning autism.